IF YOU’RE thinking of having a wager tonight do yourself a favour and back Always Flashing. 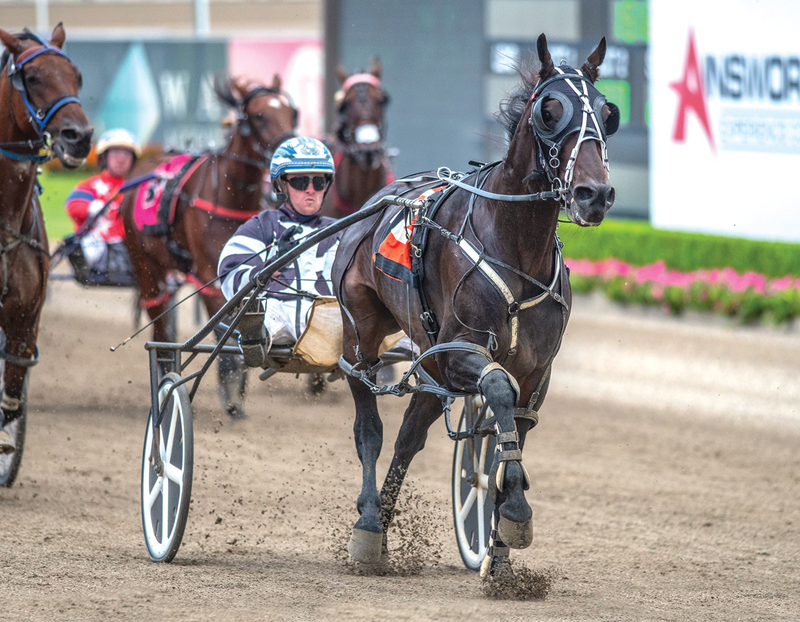 After contacting Kevin Pizzuto to discuss Persimmon’s prospects at Tabcorp Park Menangle tomorrow evening, it became clear the prominent trainer would rather talk about Always Flashing. Set to make his debut for Pizzuto, Always Flashing is engaged in a Carousel Heat in Bankstown. A last start Bendigo winner for Allan McDonough last February, Always Flashing has drawn the outside of the second row in what is an open affair. “I really like Always Flashing,” Pizzuto said. “I reckon he can go through the grades and be my next free-for-aller. “It’s an even field according to betting with several of them the equal favourite at $5 and I reckon those are generous odds for Always Flashing. As for Persimmon, he is the $2.75 favourite despite drawing the widest barrier over 2300 metres. A revelation since joining Pizzuto’s team, Persimmon has won five of his eight starts, including his last two. The son of Courage Under Fire also has two seconds to his credit. “He’s drawn 10 which does make it tough,” Pizzuto said. “With the amount of times I draw 10 there I may as well take home the saddle clothe in my gear bag and bring it back with me the next week! In other news from the Pizzuto stable, Grand Circuit champion Tiger Tara is still enjoying a well-earned spell.